Spring Ritual | Ironman for Life! After our long winter spring has come quickly! 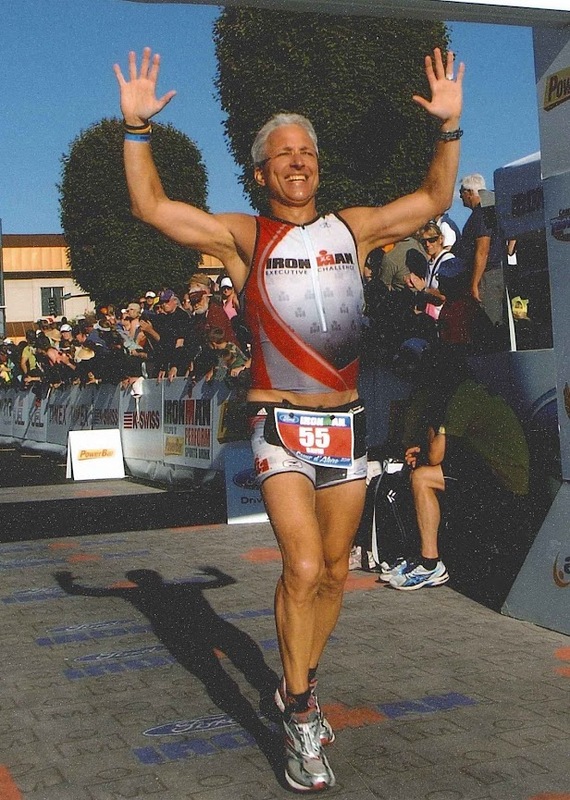 There are running races every weekend, triathlon season has started, and Ironman training has begun in earnest. Prom season also begins this week! It’s a Spring ritual! Our Safe Sober Prom Night program has become a Spring ritual too. Every year for 21 years we have visited area high schools giving out free t-shirts. Over the next six weeks our Daggett Shuler team will visit 35　area high schools, give out more than 14,000　free T-shirts, and have lots of fun with area students! The mission remains the same – remind students and keep them aware of the dangers of drugs and alcohol, encourage an environment of positive peer pressure, and wrap our arms around these students to give them leadership, guidance, direction, encouragement and support. One of the highlights of the Safe Sober Prom Night program is the t-shirt design contest. To kick off this year’s Safe Sober Prom Night campaign, I made a surprise guest appearance and presentation to Ms.　Stephanie Messer’s commercial art class at the Career Center in Winston-Salem. There, after making a brief presentation on the importance of students using the commercial art skills they are developing to launch into their careers, I presented Cassandra Ellis with the award for winning the design competition. Cassie’s t-shirt design will appear on all of the free t-shirts that are given to high school juniors and seniors in the Triad, and she will also be recognized as the designer on the back of the t-shirts. Cassie’s parents joined the class for the surprise presentation along with her principal. In addition to her studies at the Career Center, Cassie is a senior at Forsyth Middle College. Next week our Safe Sober Prom Night public service promotional TV commercial will hit the airways starring students from Mt. Tabor High School. The commercial can be seen here. Our Daggett Shuler team was impressed by the quality of the students! Please join the army of support on the SSPN Facebook Page, and please help spread the word!. Our Daggett Shuler team along with volunteers from our distribution sponsor Keller Williams Realty will begin visiting area high schools to ask the students to sign the Safe Sober Prom Night do it right pledge. The pledge can be found online here. Taking the pledge online will help avoid the mad rush of signing the card at your school. You can also text message your friends from this page. 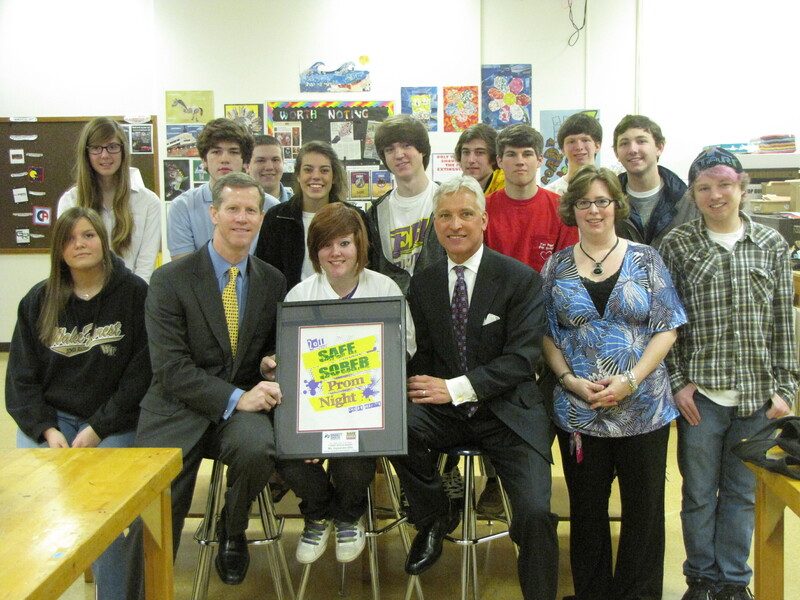 Safe Sober Prom Night was also the program that was featured in the Ford Ironman Everyday Hero Award. This recent award featured clips of the Safe Sober Prom Night program, along with me racing and finishing Ironman USA in Coeur d’Alene. An article on the Everyday Hero Award is here and the video cam be viewed here. Please join our Daggett Shuler team as we support and encourage our local high school students. We are convinced that the students are bright and motivated. What they need from us is leadership, guidance ,encouragement and support.